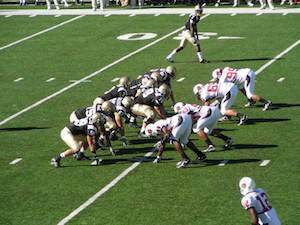 Cypress, CA, December 6, 2018 – Western Michigan University's (WMU) Division I Broncos football program has a storied history at the Kalamazoo-based school. As the 2015 Bahama Bowl winner, 2016 Mid-American Conference (MAC) champions, and participants in the 2017 Cotton Bowl, the popular team requires production technology that keeps pace with its sports program. Video production professionals at the school determined that the slow-motion replay system used for in-arena replays and for live ESPN and ESPN+ feeds from home football, men's and women's soccer, and men's and women's basketball games was not providing a true broadcast look or an optimum training ground for students. As part of the school's video production unit, Bronco Productions, students are responsible for the school's sports programming feeds for ESPN and ESPN+. 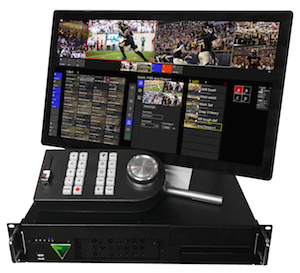 WMU turned to the Envivo Replay, sports and live event replay solution from Variant Systems, which is sold all over the world, and exclusively by FOR-A® in North, Central and South America. Envivo Replay is a complete replay solution with an intuitive user interface that offers support for high-speed slow-motion cameras, as well as playlists for highlights playback, built-in branding capabilities, and direct publishing to social media platforms. It allows for multiple camera inputs and multiple controlled outputs. 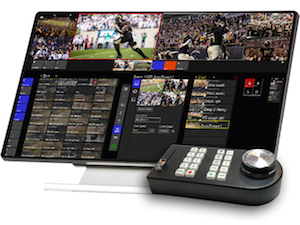 As of this fall, Envivo Replay is used to capture slow motion footage for Broncos' in-stadium replays and for its streaming coverage to ESPN and ESPN+. "We needed a slow-motion system in our truck that was more broadcast ready," says Devon Doxey, Assistant Director, Bronco Productions. "We were looking for a replay system with the same look and feel as a professional system that was also easy to learn. The students absolutely love to use the touchscreen. I was a little worried about it at first, but it’s impressive how easy it is to use. It makes doing replays fun. I see our students use it all the time. We rely on them. Envivo Replay gives us state-of-the-art tools that lets them produce broadcast-quality video. "Plus, we're able to teach students on technology that's similar to other systems used by broadcasters," Doxey continues. "Being able to get them broadcast-ready for replay gigs in the future is something we couldn't do before." Doxey cites having a dual playlist mode as another benefit: "Access to more content has made our production quality even better." He adds Variant's game-day support and the system's pricing as other factors that contributed to the switch. "With Envivo, we don't call a technical support line to talk to someone who may or may not know what we’re talking about. We have the guy who created the system as our tech support. That’s incredible." Envivo Replay is part of a complete live event workflow with FOR-A's HANABI series of video switchers, ClassX 3D graphics, and video writer telestrators.